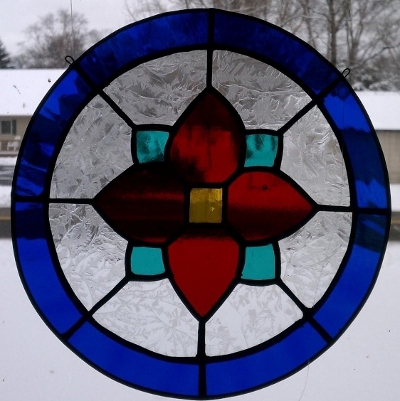 This four week class will teach you how to build a stained glass panel using the copper foil method. Each student will chose from a variety of selected patterns. You will learn how to prepare your pattern, cut glass, foil and solder. Your piece will end up being framed in lead came. Either black or copper patina will be applied before doing the final cleaning.